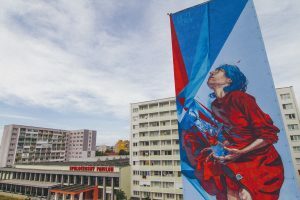 In an era of strong urban branding, cities are embracing distinctive approaches to include cultural policies within their development strategies. 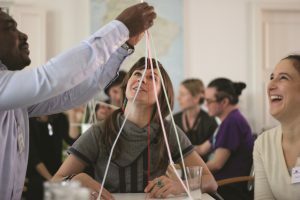 In today’s creative cities, impressive cultural infrastructures and rooted community initiatives are feeding each other to create unique local identities. ASEF publication “Cities: Living Labs for Culture? Case Studies from Asia and Europe” is a journey across more than 40 Asian and European cities facing the cultural inclusiveness challenge: cities as incubators for cultural leaders and laboratories for transformative cultural policies; capitals of culture initiatives and cities networks as opportunities to broker inter-regional, cross-sectorial and inter-generational understanding. These are just some of the key ingredients to this conversation among cities which distinguish themselves for utilizing the cultural asset to provoke social change. 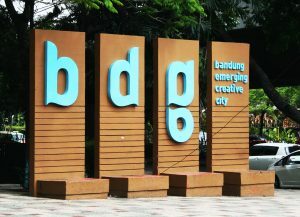 From the example of Bandung’s Mayor Ridwan Kamil in Indonesia who promoted the purchasing of available land to turn it into ‘smart green spaces’; to the role of institutions like the Dharavi Biennale, in Mumbai, India empowering local communities living in extreme urban contexts through art and health education. From the increasing demand for global arts leaders to consolidate skills and knowledge exchange as in the Salzburg Global Seminar’s Culture and Arts Programme in Austria; to the legacy of the European Capital of Culture programme in Košice, Slovakia which has been able to foster local cultural development in job creation and strategic planning. These and all the other case studies collected in this publication, demonstrate once again that shaping creative cities is a collective process nurtured by passionate community inputs and strategic public-private support. The second edition of the publication (May 2016), now also includes the report of the 8th ASEF Public Forum on Creative Cities in Asia and Europe – Cities: Living Labs for Culture? (24 November 2015, Gwangju, Korea) which elaborated the lessons from the case studies into ideas towards a better dialogue among Asian and European Creative Cities. In serving his role as an advocate for enhancing mutual understanding and promoting Asia-Europe cooperation, ASEF voiced some of the key recommendations from the Forum and the publication, to the 7thAsia-Europe Culture Ministers’ Meeting (ASEM CMM7), through a Policy Panel of civil experts on the theme of Culture and the Creative Economy, held during the 2nd Seniors Officials Meeting of the ASEM CMM7 (22 June 2016, Gwangju, Korea). The publication also explores the intersections of creative cities with the creative economy, high technology and heritage management which are on the agenda of the Ministerial meeting. The case studies edited by the Asia-Europe Foundation, have been researched and analysed by Jordi Baltà Portolés, independent cultural policy expert and consultant working with, among others, the United Cities and Local Governments (UCLG), and the Asia-Europe Museum Network (ASEMUS), in his capacity of web editor.